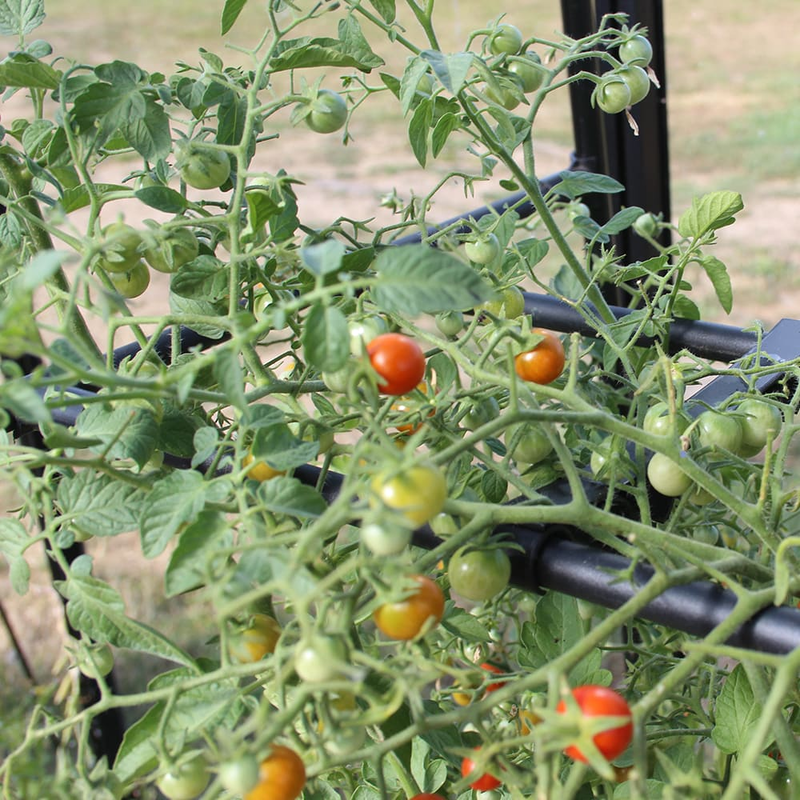 Tomato Crop-Booster Frame is a new and different design—unlike anything else on the market—which increases the yield of tomato plants by properly supporting them. 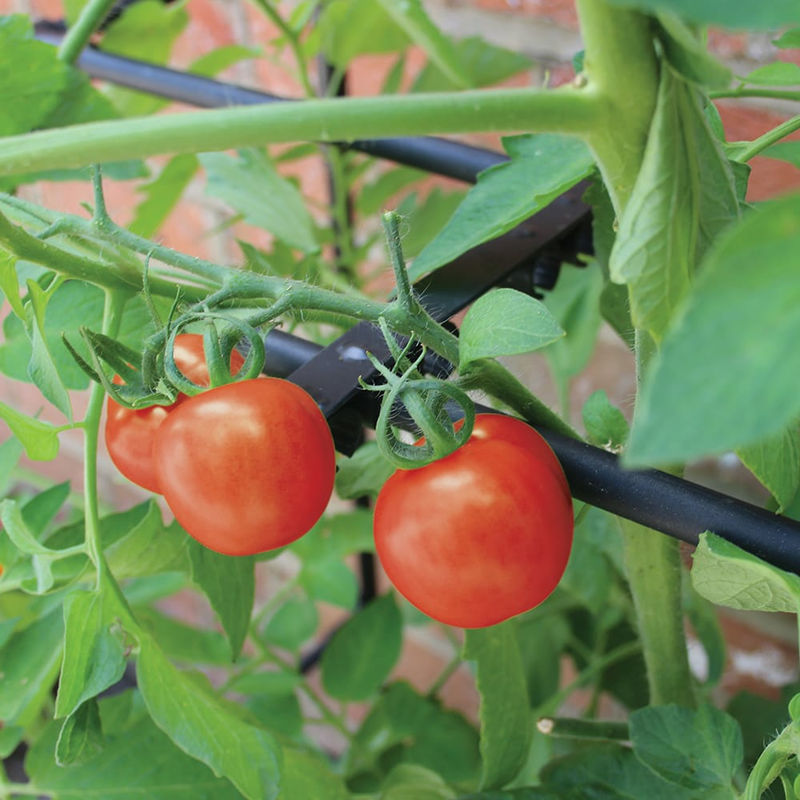 As tomato plants grow, traditional ties attached to canes can become tight and start to damage the plant stems and restrict growth. 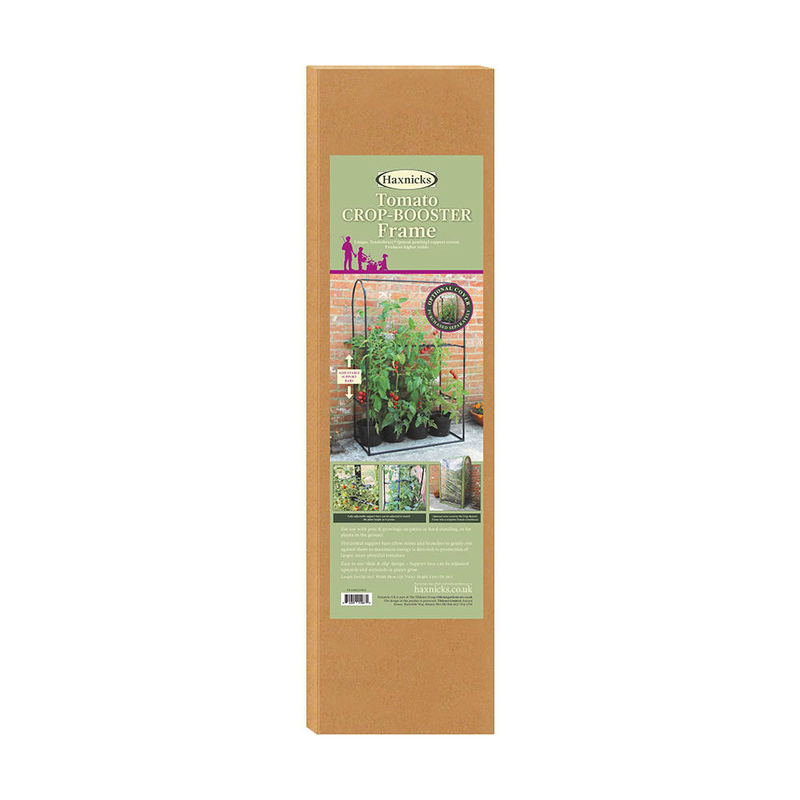 The Tomato Crop-Booster allows the stem to gently lean on the support and continue growing without constraint. 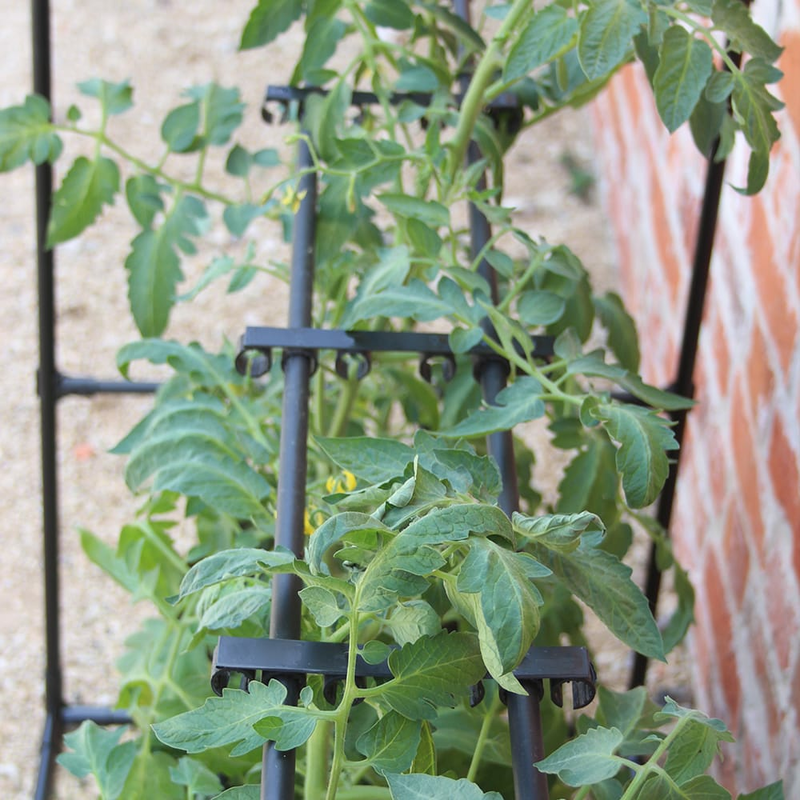 The unique design means the support bars can be easily slid up as the plant grows or unclipped to make bigger movements. 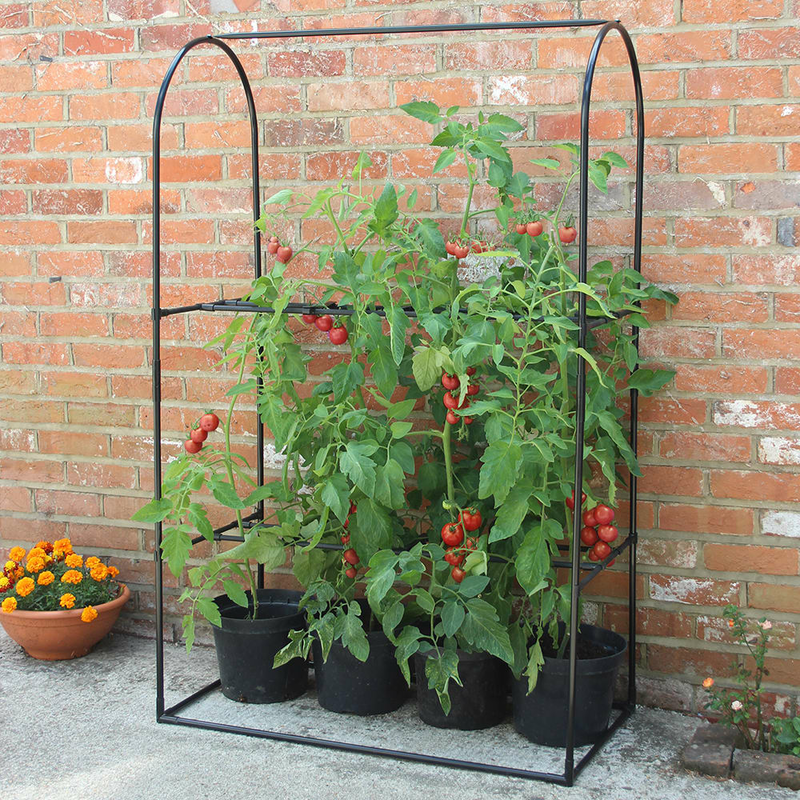 The support bars can be adjusted outwards as well as upwards as plants grow to allow more space for bushier plants. If a plant is properly supported then it does not have to put energy into staying upright and can instead use this energy to produce fruit leading to higher yields. This innovative frame also comes with the Tenderbrace™ (patent pending) support system to support plants and lead to higher yields. Also includes easy-to-use 'slide and clip' design that can be altered by sliding - for small tweaks or unclipping - for larger moves, for example, to re-position round a branch. It is simple for gardeners to use, and with the cover (sold separately) it offers a really cost effective mini greenhouse system suitable for use with pots, growbags or plants in the ground.